IRI – International Research Institute for Climate and Society | Q&A – Why care about CariCOF? Next week, the Caribbean Climate Outlook Forum (known as CariCOF) will kick off in Kingston, Jamaica. At this event, both providers and users of climate information from across the Caribbean will discuss the upcoming season’s forecast and the ways the forecast might be used to make decisions in water resources, tourism and disaster risk management. 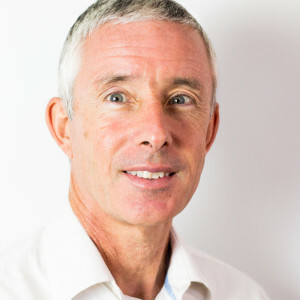 To learn more about Climate Outlook Forums (COFs), we sat down with IRI scientist Simon Mason, who has been instrumental to the formation and expansion of COFs around the world. We’ll be covering CariCOF from Kingston, so look for more to come on our website, Facebook and Twitter. You can also follow the conference on Twitter using #CariCOF. What is a Climate Outlook Forum? A Climate Outlook Forum (COF) is a regional meeting in which climate scientists present a forecast to decision makers in climate-sensitive sectors such as agriculture, disaster planning and health. The forecast typically is a seasonal forecast for the coming few months, but in some regions, such as Europe, there can also be an important focus on climate change scenarios and other longer-term projections. The forecast is produced through a consensus building process among national, regional and international climate experts. In most cases this occurs during a face-to-face meeting of the forecasters immediately prior to the COF. However, some regions, including the Caribbean, are now conducting this process virtually shortly before gathering for the COF. Most regions aim to provide a rainfall outlook for the coming rainy season, but some also provide temperature forecasts. In a few other COFs, such as that in the Greater Horn of Africa, experts translate the climate forecast into an outlook on food security and other impacts. Although each COF has its own character, there are common elements. For example, all the COFs present their seasonal forecasts in similar ways to the IRI’s own net assessments, i.e., as probabilities for below-normal, normal, and above-normal conditions. The National Oceanic and Atmospheric Administration and the European Commission sponsored the first COFs in southern Africa in 1997 as a way to bring together national meteorological and hydrological services, other national centers of expertise and regional and international institutions. IRI was involved from the very start, helping to shape the purpose and procedure of the meetings. COFs quickly spread to other parts of Africa as well as South America. Thanks to strong support from the World Meteorological Organization, they have now expanded to cover most parts of the habitable world. Who uses the information from a COF? A variety of users incorporate the COF forecasts into decision making, including those in health, agriculture, and risk reduction agencies. 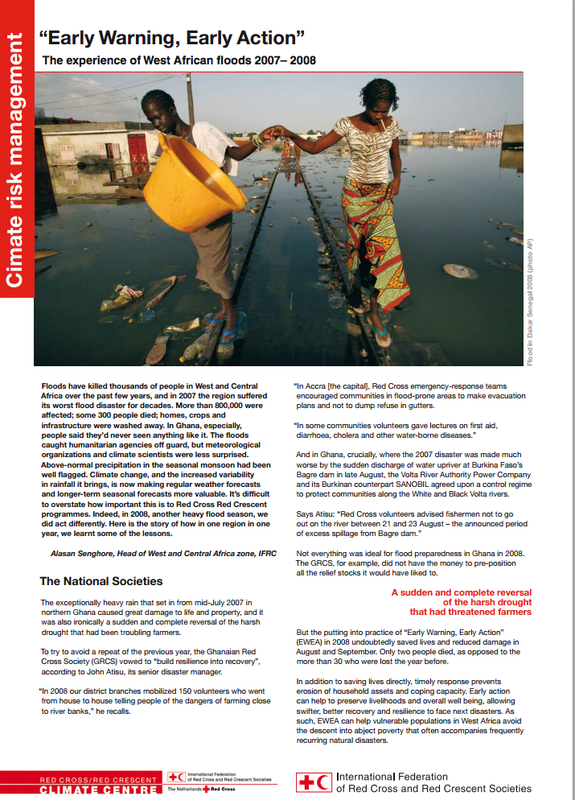 For example, in West Africa in 2008, as a response to COF forecasts the Red Cross/Red Crescent Climate Centre was able train personnel and move resources ahead of major flood events, saving lives and allowing for swifter recovery after the disaster. In 2010 the government of Uruguay provided low-interest loans to farmers and encouraged them to plant drought resistant crops in response to a seasonal forecast that showed enhanced probability of below-average rainfall. In southern Africa, the COF forecasts are used to develop malaria outlooks. What has been IRI’s role in COFs? The IRI played an important role in the meetings that led to the establishment of the COFs. For the first COFs, it also took the leading role in the consensus-building process until the regions developed the capacity to manage the process themselves. IRI’s Climate Predictability Tool (CPT) was introduced in 2003 as a means of simplifying forecasting and is now used in almost all the COFs. Participants consult IRI’s ENSO forecasts for background information on possible developments of El Niño and La Niña conditions and our net assessments for impacts on regional climate. Our Data Library provides CPT users sea-surface temperature data and outputs from our global climate models. How does El Niño relate to COFs? In many regions, El Niño and La Niña exert significant influence on seasonal climate. They are some of the most well-understood and predictable climate phenomena, and are critical inputs to seasonal forecasts. You recently attended the South Asian COF. What was your role there, and what were the outcomes? My role was to teach participants to use the CPT during an eight-day pre-COF training program. While India has the longest history of seasonal forecasting in the world – producing monsoon predictions since 1893 – most of its neighboring countries still do not have operational seasonal forecasting capabilities. I was there to help train climatologists and meteorologists from countries that are part of the South Asian Association for Regional Cooperation (Afghanistan, Bangladesh, Bhutan, India, Maldives, Myanmar, Nepal, and Sri Lanka – Pakistan was absent), and also to assist in the consensus building process. India’s process is unique in that a draft consensus forecast is produced during the pre-COF training, and then the first day of the COF is open only to climate experts to refine the consensus forecast. During this first day, I presented the IRI ENSO and seasonal forecast information and assisted in the ongoing discussions about the COF forecasts. During the second day the forecast was presented to representatives from the water resources sector as well as to members of the media. I assisted in the ensuing discussions. The current forecast indicates an increased chance of a weak South Asian monsoon and so a strong possibility of below-normal rainfall over much of India. This is is based primarily on the expectation of El Niño developing and impacting the region. At the end of this month, the Caribbean region will hold a COF. What will be the focus of activities at this COF? First, a rainfall forecast for the hurricane season will be produced by email discussion prior to the meeting. There is then a two-day training workshop immediately prior to the COF itself during which the region will produce its first ever seasonal temperature forecast and a drought forecast using a new capability within CPT. Both the temperature and drought forecasts are being made as a direct response to user requests raised at previous COFs and through other consultation processes. What are some ways in which COFs are trying to improve? The COFs are taking important steps to improve the technical quality of the forecast information, including, for example, through ongoing CPT training and through increasing use of the Global Producing Centre outputs coordinated by World Meteorological Organization. Many of the COFs are starting to produce new information in response to user demand. Examples include the new CariCOF initiatives mentioned above, plus the Food Security Outlook from the Greater Horn. In addition, COFs such as the Caribbean have taken a number of steps to improve the communication of the forecasts by introducing new easier-to-understand formats. Each type of improvement (technical quality, salience, and understandability) is important. We know that the consensus building process introduces some systematic errors into the forecasts that we need to find ways of correcting; we know that the standard three- or four-month probabilistic rainfall forecasts do not always provide clear indications of expected impacts; and we know that a large number of the intended users find the forecasts difficult to understand and may even misinterpret them. The CariCOF and subsequent IRAP workshop were co-sponsored by the U.S. Agency for International Development and the National Oceanic Atmospheric Administration.